Digital printing, unlike offset printing, does not involve printing plates, solutions and materials thus it is more cost effective for shorter runs. Digitally printed jobs are usually run on smaller equipment and thus require fewer operators. This, also, results in a lower cost for smaller printing jobs. 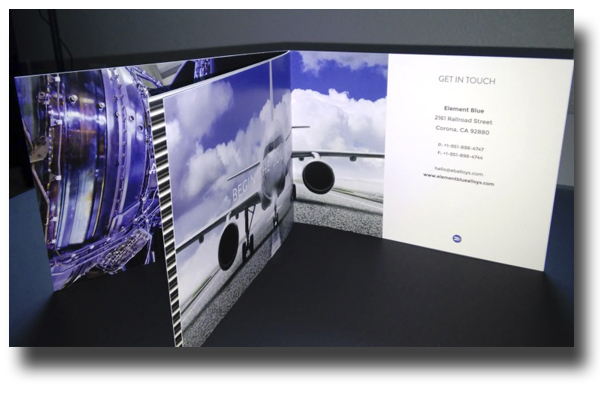 Digital presses have a variety of printing substrates from which to choose. Some are unique to digital. There are short run products such as special die cut labels and pre-perforated and pre-scored packaging. For example, there are various size cartons, including golf ball and wine bottle boxes. All designed as short run quality packaging. Other substrates that work well with digital include synthetic products that are perfect for situations where moisture or wear are of concern. These substrates are strong, chemical resistant, and moisture and grease proof, yet are flexible like paper. These would be great for short run menus because they would not have to be laminated. Digital has another big advantage over offset printing. It has the ability to incorporate variable data into a printed product (VDP). And this variable information can lead to a higher response rate in an advertising piece. Imagine the ability to change images and text to meet the specific needs of you clients. There’s a case study in which Ford Motor Company tested VDP with their extended service plan and saw a more than 35% increase in sales and a reduction in production costs by 3.2%. They accomplished this by incorporating relevant information for individual Ford F150 truck owners into a mailer targeted specifically to the owner. The variable information lead to a marketing piece that was relevant to each individual and thus resulted in increased sales.